When Jacob McClintock was 12, Jacob began his mixed martial arts training at Elite Performance in Phoenix, Arizona but then moved over to Arizona Combat Sports. He made his pro-MMA debut in 2007. Jacob’s pro-MMA career has placed him in action with promotions such as FIGHT FORCE2, UWC, Total Combat, and Bellator Fighting Championships, traveling all over the world including Brazil and Russia to fight. Jacob has a current PRO MMA record of 8-­2 with all contests ending in the 1st round. Jacob’s true passion is Jiu Jitsu. 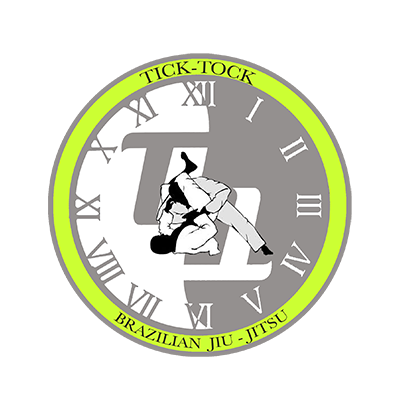 Jacob earned his Black Belt under the famed Gustavo Dantas of GD Jiu-­Jitsu/Nova Uniao, Arizona and can now share his expertise in Charleston, through his new school, Tick­ Tock Brazilian Jiu Jitsu. When he was 12, Jacob began his mixed martial arts training at Elite Performance in Phoenix, Arizona but then moved over to Arizona Combat Sports. He made his pro-MMA debut in 2007. Jacob’s pro-MMA career has placed him in action with promotions such as FIGHT FORCE2, UWC, Total Combat, and Bellator Fighting Championships, traveling all over the world including Brazil and Russia to fight. Jacob has a current pro-MMA record of 8-­2 with all contests ending in the 1st round. Jacob’s true passion is Jiu Jitsu. 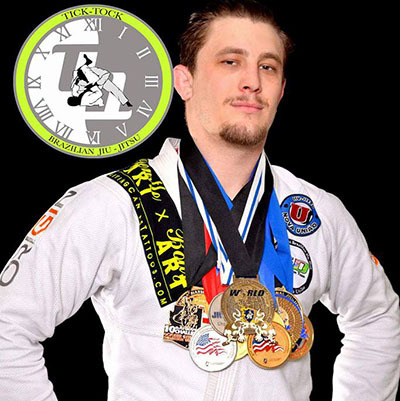 Jacob earned his Black Belt under the famed Gustavo Dantas of GD Jiu-­Jitsu/Nova Uniao, Arizona and can now share his expertise in Charleston, through his new school, Tick­Tick Brazilian Jiu Jitsu.